Defining a sociological problem helps frame a question to be addressed in the research process. The first step of the scientific method is to ask a question, describe a problem, and identify the specific area of interest. The topic should be narrow enough to study within the context of a particular test but also broad enough to have a more general practical or theoretical merit. For many sociologists, the goal is to conduct research which may be applied directly to social policy and welfare, while others focus primarily on refining the theoretical understanding of social processes. Subject matter ranges from the micro level to the macro level. Like other sciences, sociology relies on the systematic, careful collection of measurements or counts of relevant quantities to be considered valid. Given that sociology deals with topics that are often difficult to measure, this generally involves operationalizing relevant terms. operational definition: A showing of something — such as a variable, term, or object — in terms of the specific process or set of validation tests used to determine its presence and quantity. operationalization: In humanities, operationalization is the process of defining a fuzzy concept so as to make the concept clearly distinguishable or measurable and to understand it in terms of empirical observations. Defining the problem is necessarily the first step of the research process. After the problem and research question is defined, scientists generally gather information and other observations, form hypotheses, test hypotheses by collecting data in a reproducible manner, analyze and interpret that data, and draw conclusions that serve as a starting point for new hypotheses. 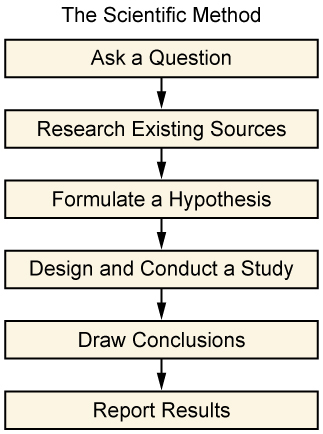 The Scientific Method is an Essential Tool in Research: This image lists the various stages of the scientific method. The first step of the scientific method is to ask a question, describe a problem, and identify the specific area of interest. The topic should be narrow enough to study within the context of a particular test but also broad enough to have a more general practical or theoretical merit. For many sociologists, the goal is to conduct research which may be applied directly to social policy and welfare, while others focus primarily on refining the theoretical understanding of social processes. Subject matter ranges from the micro level of individual agency and interaction to the macro level of systems and the social structure. Like other sciences, sociology relies on the systematic, careful collection of measurements or counts of relevant quantities to be considered valid. Given that sociology deals with topics that are often difficult to measure, this generally involves operationalizing relevant terms. Operationalization is a process that describes or defines a concept in terms of the physical or concrete steps it takes to objectively measure it, as opposed to some more vague, inexact, or idealized definition. The operational definition thus identifies an observable condition of the concept. By operationalizing a variable of the concept, all researchers can collect data in a systematic or replicable manner. For example, intelligence cannot be directly quantified. We cannot say, simply by observing, exactly how much more intelligent one person is than another. But we can operationalize intelligence in various ways. For instance, we might administer an IQ test, which uses specific types of questions and scoring processes to give a quantitative measure of intelligence. Or we might use years of education as a way to operationalize intelligence, assuming that a person with more years of education is also more intelligent. Of course, others might dispute the validity of these operational definitions of intelligence by arguing that IQ or years of education are not good measures of intelligence. After all, a very intelligent person may not have the means or inclination to pursue higher education, or a less intelligent person may stay in school longer because they have trouble completing graduation requirements. In most cases, the way we choose to operationalize variables can be contested; few operational definitions are perfect. But we must use the best approximation we can in order to have some sort of measurable quantity for otherwise unmeasurable variables. Sociological researchers review past work in their area of interest and include this “literature review” in the presentation of their research. Literature reviews showcase researchers’ knowledge and understanding of the existing body of scholarship that relates to their research questions. A thorough literature review demonstrates the ability to research and synthesize. Furthermore, it provides a comprehensive overview of what is and is not known, and why the research in question is important to begin with. Literature reviews offer an explanation of how the researcher can contribute toward the existing body of scholarship by pursuing their own thesis or research question. essay: A written composition of moderate length exploring a particular issue or subject. Theses: A dissertation or thesis is a document submitted in support of candidature for an academic degree or professional qualification presenting the author’s research and findings. The term thesis is also used to refer to the general claim of an essay or similar work. disciplinary: Of or relating to an academic field of study. A literature review is a logical and methodical way of organizing what has been written about a topic by scholars and researchers. 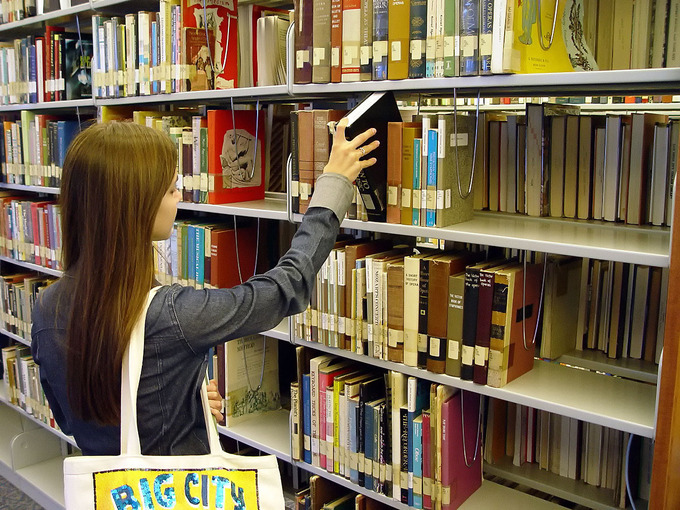 Literature reviews can normally be found at the beginning of many essays, research reports, or theses. In writing the literature review, the purpose is to convey what a researcher has learned through a careful reading of a set of articles, books, and other relevant forms of scholarship related to the research question. Furthermore, creating a literature review allows researchers to demonstrate the ability to find significant articles, valid studies, or seminal books that are related to their topic as well as the analytic skill to synthesize and summarize different views on a topic or issue. Library Research: Good literature reviews require exhaustive research. Online resources make this process easier, but researchers must still sift through stacks in libraries. It is organized around issues, themes, factors, or variables that are related directly to the thesis or research question. It demonstrates the researcher’s familiarity with the body of knowledge by providing a good synthesis of what is and is not known about the subject in question, while also identifying areas of controversy and debate, or limitations in the literature sharing different perspectives. It indicates the theoretical framework that the researcher is working with. It places the formation of research questions in their historical and disciplinary context. It identifies the most important authors engaged in similar work. It offers an explanation of how the researcher can contribute toward the existing body of scholarship by pursuing their own thesis or research question. A hypothesis is a potential answer to your research question; the research process helps you determine if your hypothesis is true. Hypotheses are testable explanations of a problem, phenomenon, or observation. Both quantitative and qualitative research involve formulating a hypothesis to address the research problem. Hypotheses that suggest a causal relationship involve at least one independent variable and at least one dependent variable; in other words, one variable which is presumed to affect the other. An independent variable is one whose value is manipulated by the researcher or experimenter. A dependent variable is a variable whose values are presumed to change as a result of changes in the independent variable. dependent variable: In an equation, the variable whose value depends on one or more variables in the equation. independent variable: In an equation, any variable whose value is not dependent on any other in the equation. A hypothesis is an assumption or suggested explanation about how two or more variables are related. It is a crucial step in the scientific method and, therefore, a vital aspect of all scientific research. There are no definitive guidelines for the production of new hypotheses. The history of science is filled with stories of scientists claiming a flash of inspiration, or a hunch, which then motivated them to look for evidence to support or refute the idea. While there is no single way to develop a hypothesis, a useful hypothesis will use deductive reasoning to make predictions that can be experimentally assessed. If results contradict the predictions, then the hypothesis under examination is incorrect or incomplete and must be revised or abandoned. If results confirm the predictions, then the hypothesis might be correct but is still subject to further testing. Both quantitative and qualitative research involve formulating a hypothesis to address the research problem. A hypothesis will generally provide a causal explanation or propose some association between two variables. Variables are measurable phenomena whose values can change under different conditions. For example, if the hypothesis is a causal explanation, it will involve at least one dependent variable and one independent variable. In research, independent variables are the cause of the change. The dependent variable is the effect, or thing that is changed. In other words, the value of a dependent variable depends on the value of the independent variable. Of course, this assumes that there is an actual relationship between the two variables. If there is no relationship, then the value of the dependent variable does not depend on the value of the independent variable. The research design is the methodology and procedure a researcher follows to answer their sociological question. Research design defines the study type, research question, hypotheses, variables, and data collection methods. Some examples of research designs include descriptive, correlational, and experimental. Another distinction can be made between quantitative and qualitative methods. Sociological research can be conducted via quantitative or qualitative methods. Quantitative methods are useful when a researcher seeks to study large-scale patterns of behavior, while qualitative methods are more effective when dealing with interactions and relationships in detail. Quantitative methods include experiments, surveys, and statistical analysis, among others. Qualitative methods include participant observation, interviews, and content analysis. An interpretive framework is one that seeks to understand the social world from the perspective of participants. Although sociologists often specialize in one approach, many sociologists use a complementary combination of design types and research methods in their research. Even in the same study a researcher may employ multiple methods. quantitative methods: Quantitative research refers to the systematic empirical investigation of social phenomena via statistical, mathematical, or computational techniques. qualitative methods: Qualitative research is a method of inquiry employed in many different academic disciplines, traditionally in the social sciences, but also in market research and further contexts. Qualitative researchers aim to gather an in-depth understanding of human behavior and the reasons that govern such behavior. The qualitative method investigates the why and how of decision making, not just what, where, and when. Hence, smaller but focused samples are more often needed than large samples. A research design encompasses the methodology and procedure employed to conduct scientific research. Although procedures vary from one field of inquiry to another, identifiable features distinguish scientific inquiry from other methods of obtaining knowledge. In general, scientific researchers propose hypotheses as explanations of phenomena, and design research to test these hypotheses via predictions which can be derived from them. The design of a study defines the study type, research question and hypotheses, independent and dependent variables, and data collection methods. There are many ways to classify research designs, but some examples include descriptive (case studies, surveys), correlational (observational study), semi-experimental (field experiment), experimental (with random assignment), review, and meta-analytic, among others. Another distinction can be made between quantitative methods and qualitative methods. Quantitative methods are generally useful when a researcher seeks to study large-scale patterns of behavior, while qualitative methods are often more effective when dealing with interactions and relationships in detail. Quantitative methods of sociological research approach social phenomena from the perspective that they can be measured and quantified. For instance, socio-economic status (often referred to by sociologists as SES) can be divided into different groups such as working-class, middle-class, and wealthy, and can be measured using any of a number of variables, such as income and educational attainment. Qualitative versus Quantitative Methods: These two researchers are debating the relative merits of using qualitative or quantitative methods to study social phenomena such as the learning processes of children. Qualitative methods are often used to develop a deeper understanding of a particular phenomenon. They also often deliberately give up on quantity, which is necessary for statistical analysis, in order to reach a greater depth in analysis of the phenomenon being studied. While quantitative methods involve experiments, surveys, secondary data analysis, and statistical analysis, qualitatively oriented sociologists tend to employ different methods of data collection and hypothesis testing, including participant observation, interviews, focus groups, content analysis, and historical comparison. Qualitative sociological research is often associated with an interpretive framework, which is more descriptive or narrative in its findings. In contrast to the scientific method, which follows the hypothesis-testing model in order to find generalizable results, the interpretive framework seeks to understand social worlds from the point of view of participants. Defining the sample and collecting data are key parts of all empirical research, both qualitative and quantitative. It is important to determine the scope of a research project when developing the question. The choice of method often depends largely on what the researcher intends to investigate. Quantitative and qualitative research projects require different subject selection techniques. It is important to determine the scope of a research project when developing the question. While quantitative research requires at least 30 subjects to be considered statistically significant, qualitative research generally takes a more in-depth approach to fewer subjects. For both qualitative and quantitative research, sampling can be used. The stages of the sampling process are defining the population of interest, specifying the sampling frame, determining the sampling method and sample size, and sampling and data collecting. There are various types of samples, including probability and nonprobability samples. Examples of types of samples include simple random samples, stratified samples, cluster samples, and convenience samples. Good data collection involves following the defined sampling process, keeping the data in order, and noting comments and non-responses. Errors and biases can result in the data. Sampling errors and biases are induced by the sample design. Non-sampling errors can also affect results. data collection: Data collection is a term used to describe a process of preparing and collecting data. bias: The difference between the expectation of the sample estimator and the true population value, which reduces the representativeness of the estimator by systematically distorting it. Social scientists employ a range of methods in order to analyze a vast breadth of social phenomena. Many empirical forms of sociological research follow the scientific method. Scientific inquiry is generally intended to be as objective as possible in order to reduce the biased interpretations of results. Sampling and data collection are a key component of this process. It is important to determine the scope of a research project when developing the question. The choice of method often depends largely on what the researcher intends to investigate. For example, a researcher concerned with drawing a statistical generalization across an entire population may administer a survey questionnaire to a representative sample population. By contrast, a researcher who seeks full contextual understanding of the social actions of individuals may choose ethnographic participant observation or open-ended interviews. These two types of studies will yield different types of data. While quantitative research requires at least 30 subjects to be considered statistically significant, qualitative research generally takes a more in-depth approach to fewer subjects. Collecting Data: Natural scientists collect data by measuring and recording a sample of the thing they’re studying, such as plants or soil. Similarly, sociologists must collect a sample of social information, often by surveying or interviewing a group of people. In both cases, it behooves the researcher to create a concrete list of goals for collecting data. For instance, a researcher might identify what characteristics should be represented in the subjects. Sampling can be used in both quantitative and qualitative research. In statistics and survey methodology, sampling is concerned with the selection of a subset of individuals from within a statistical population to estimate characteristics of the whole population. The stages of the sampling process are defining the population of interest, specifying the sampling frame, determining the sampling method and sample size, and sampling and data collecting. There are various types of samples. A probability sampling is one in which every unit in the population has a chance (greater than zero) of being selected in the sample, and this probability can be accurately determined. Nonprobability sampling is any sampling method where some elements of the population have no chance of selection or where the probability of selection can’t be accurately determined. Examples of types of samples include simple random samples, stratified samples, cluster samples, and convenience samples. Good data collection involves following the defined sampling process, keeping the data in time order, noting comments and other contextual events, and recording non-responses. Errors and biases can result in the data. Sampling errors and biases, such as selection bias and random sampling error, are induced by the sample design. Non-sampling errors are other errors which can impact the results, caused by problems in data collection, processing, or sample design. Data analysis in sociological research aims to identify meaningful sociological patterns. Analysis of data is a process of inspecting, cleaning, transforming, and modeling data with the goal of highlighting useful information, suggesting conclusions, and supporting decision making. Data analysis is a process, within which several phases can be distinguished. One way in which analysis can vary is by the nature of the data. Quantitative data is often analyzed using regressions. Regression analyses measure relationships between dependent and independent variables, taking the existence of unknown parameters into account. Qualitative data can be coded–that is, key concepts and variables are assigned a shorthand, and the data gathered are broken down into those concepts or variables. Coding allows sociologists to perform a more rigorous scientific analysis of the data. Sociological data analysis is designed to produce patterns. It is important to remember, however, that correlation does not imply causation; in other words, just because variables change at a proportional rate, it does not follow that one variable influences the other. Without a valid design, valid scientific conclusions cannot be drawn. Internal validity concerns the degree to which conclusions about causality can be made. External validity concerns the extent to which the results of a study are generalizable. correlation: A reciprocal, parallel or complementary relationship between two or more comparable objects. causation: The act of causing; also the act or agency by which an effect is produced. Regression analysis: In statistics, regression analysis includes many techniques for modeling and analyzing several variables, when the focus is on the relationship between a dependent variable and one or more independent variables. More specifically, regression analysis helps one understand how the typical value of the dependent variable changes when any one of the independent variables is varied, while the other independent variables are held fixed. Analysis of data is a process of inspecting, cleaning, transforming, and modeling data with the goal of highlighting useful information, suggesting conclusions, and supporting decision making. In statistical applications, some people divide data analysis into descriptive statistics, exploratory data analysis (EDA), and confirmatory data analysis (CDA). EDA focuses on discovering new features in the data and CDA focuses on confirming or falsifying existing hypotheses. Predictive analytics focuses on the application of statistical or structural models for predictive forecasting or classification. Text analytics applies statistical, linguistic, and structural techniques to extract and classify information from textual sources, a species of unstructured data. Data analysis is a process, within which several phases can be distinguished. The initial data analysis phase is guided by examining, among other things, the quality of the data (for example, the presence of missing or extreme observations), the quality of measurements, and if the implementation of the study was in line with the research design. In the main analysis phase, either an exploratory or confirmatory approach can be adopted. Usually the approach is decided before data is collected. In an exploratory analysis, no clear hypothesis is stated before analyzing the data, and the data is searched for models that describe the data well. In a confirmatory analysis, clear hypotheses about the data are tested. The type of data analysis employed can vary. One way in which analysis often varies is by the quantitative or qualitative nature of the data. Quantitative data can be analyzed in a variety of ways, regression analysis being among the most popular. Regression analyses measure relationships between dependent and independent variables, taking the existence of unknown parameters into account. More specifically, regression analysis helps one understand how the typical value of the dependent variable changes when any one of the independent variables is varied, while the other independent variables are held fixed. Linear Regression: This graph illustrates random data points and their linear regression. A large body of techniques for carrying out regression analysis has been developed. In practice, the performance of regression analysis methods depends on the form of the data generating process and how it relates to the regression approach being used. Since the true form of the data-generating process is generally not known, regression analysis often depends to some extent on making assumptions about this process. These assumptions are sometimes testable if a large amount of data is available. Regression models for prediction are often useful even when the assumptions are moderately violated, although they may not perform optimally. However, in many applications, especially with small effects or questions of causality based on observational data, regression methods give misleading results. Qualitative data can involve coding–that is, key concepts and variables are assigned a shorthand, and the data gathered is broken down into those concepts or variables. Coding allows sociologists to perform a more rigorous scientific analysis of the data. Coding is the process of categorizing qualitative data so that the data becomes quantifiable and thus measurable. Of course, before researchers can code raw data such as taped interviews, they need to have a clear research question. How data is coded depends entirely on what the researcher hopes to discover in the data; the same qualitative data can be coded in many different ways, calling attention to different aspects of the data. Coding Qualitative Data: Qualitative data can be coded, or sorted into categories. Coded data is quantifiable. 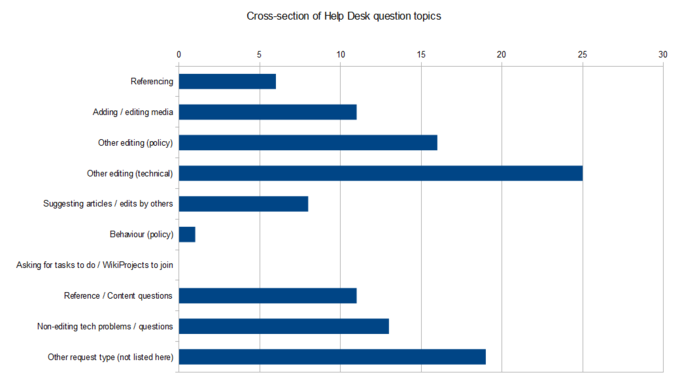 In this bar chart, help requests have been coded and categorized so we can see which types of help requests are most common. Correlation, Causation, and Spurious Relationships: This mock newscast gives three competing interpretations of the same survey findings and demonstrates the dangers of assuming that correlation implies causation. In terms of the kinds of conclusions that can be drawn, a study and its results can be assessed in multiple ways. Without a valid design, valid scientific conclusions cannot be drawn. Internal validity is an inductive estimate of the degree to which conclusions about causal relationships can be made (e.g., cause and effect), based on the measures used, the research setting, and the whole research design. External validity concerns the extent to which the (internally valid) results of a study can be held to be true for other cases, such as to different people, places, or times. In other words, it is about whether findings can be validly generalized. Learning about and applying statistics (as well as knowing their limitations) can help you better understand sociological research and studies. Knowledge of statistics helps you makes sense of the numbers in terms of relationships, and it allows you to ask relevant questions about sociological phenomena. Sociological research publications generally include a literature review, an overview of the methodology followed, the results and an analysis of those results, and conclusions. Like any research paper, a sociological research report typically consists of a literature review, an overview of the methods used in data collection, and analysis, findings, and conclusions. A literature review is a creative way of organizing what has been written about a topic by scholars and researchers. The methods section is necessary to demonstrate how the study was conducted, including the population, sample frame, sample method, sample size, data collection method, and data processing and analysis. In the findings and conclusion sections, the researcher reviews all significant findings, notes and discusses all shortcomings, and suggests future research. methodology: A collection of methods, practices, procedures, and rules used by those who work in some field. literature review: A literature review is a body of text that aims to review the critical points of current knowledge including substantive findings as well as theoretical and methodological contributions to a particular topic. Like any research paper, sociological research is presented with a literature review, an overview of the methods used in data collection, and analysis, findings, and conclusions. Quantitative research papers are usually highly formulaic, with a clear introduction (including presentation of the problem and literature review); sampling and methods; results; discussion and conclusion. In striving to be as objective as possible in order to reduce biased interpretations of results, sociological esearch papers follow the scientific method. Research reports may be published as books or journal articles, given directly to a client, or presented at professional meetings. The Scientific Method is an Essential Tool in Research: The scientific method is a body of techniques for investigating phenomena, acquiring new knowledge, or correcting and integrating previous knowledge. A literature review is a creative way of organizing what has been written about a topic by scholars and researchers. You will find literature reviews at the beginning of many essays, research reports, or theses. In writing the literature review, your purpose is to convey to your reader what you have learned through a careful reading of a set of articles related to your research question. It is organized around issues, themes, factors, or variables that are related directly to your thesis or research question. It shows the path of prior research and how the current project is linked. It provides a good synthesis of what is, and is not, known. It indicates the theoretical framework with which you are working. It identifies areas of controversy and debate, or limitations in the literature sharing different perspectives. It places the formation of research questions in their historical context. It identifies the list of the authors that are engaged in similar work. The methodssection is necessary to demonstrate how the study was conducted, and that the data is valid for study. Without assurance that the research is based on sound methods, readers cannot countenance any conclusions the researcher proposes. In the methodology section, be sure to include: the population, sample frame, sample method, sample size, data collection method, and data processing and analysis. This is also a section in which to clearly present information in table and graph form. In the findings and conclusion sections, the researcher reviews all significant findings, notes and discusses all shortcomings, and suggests future research. The conclusion section is the only section where opinions can be expressed and persuasive writing is tolerated.